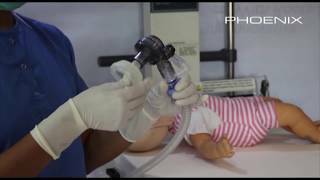 Neobreathe’s single person resuscitation care has in built resuscitation + mechanical suction. Its remarkably convenient & user friendly design helps in complete infant care. Every year Asphyxia kills 8,11,000 babies. These babies can be saved by simple resuscitation followed by suction. No fear of power cuts, No struggling with tubes. Effective seal deigned to prevent upto 50 % of any leakage during procedure. Unit is safe,secure & prevents infection. It’s in-corporated with patient safety measures. Pressure won’t exceed more than 40 cmH₂O.